The biggest challenge is to stay focused. 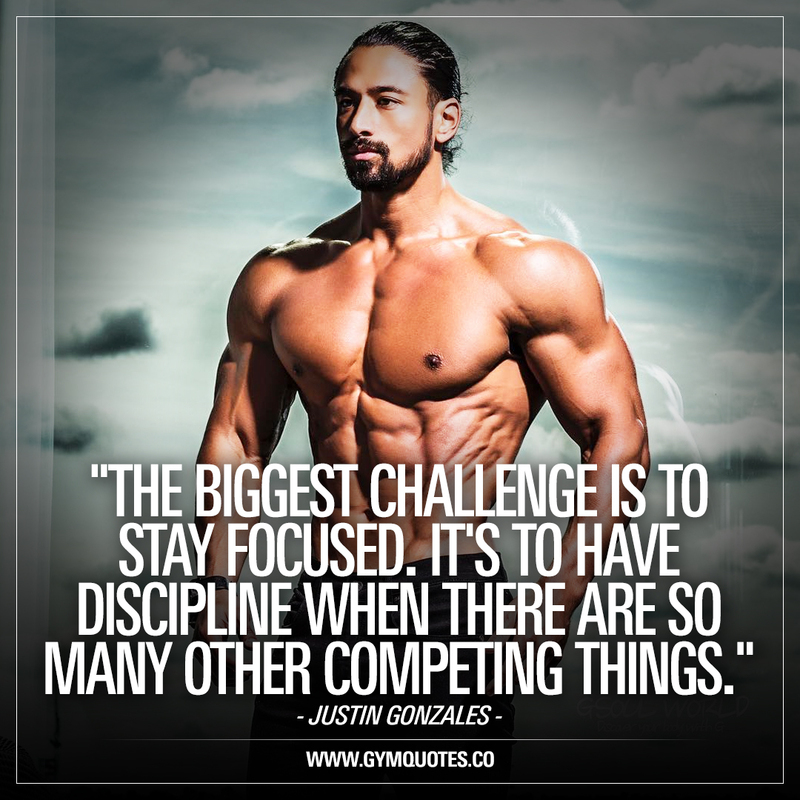 It’s to have discipline when there are so many other competing things. The words of Justin Gonzales. Words that are so true. We have so many things in our daily lives to think about that it’s sometimes really hard to focus on what matters the most (our goals). There are even times when I think I’m 100% focused but when I’m really not. It all comes down to blocking things out, focus on your goals and being disciplined enough to cut through the “noise” and work on your goals. Every .Single. Day. Check out Justin Gonzales over here: Justin Gonzales – he’s a beast with a wicked physique!